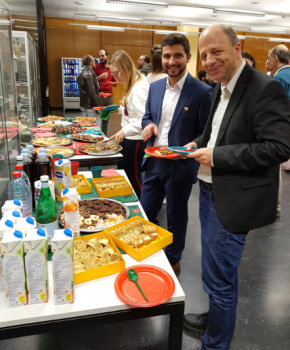 We are pleased to announce that Abbass Hammoud, an Expert of UNIGE (Many-Me Consortium member) successfully defended his PhD thesis – “Indoor Occupancy Sensing with Ultrasounds”. The purpose of an Expert’s scientific work was to detect the presence of human beings in a given environment using ultrasound waves analysis. He was also in charge of abnormal behaviour patterns recognition for the Many-Me project. Abbass is an alumnus of the Swiss Federal Institute of Technology in Lausanne (EPFL) and the American University of Beirut (AUB), joined UNIGE/TaM group in 2015 to pursue his PhD in positioning techniques and algorithms. Abbass completed his master studies in communication systems at EPFL in 2014. Notably, he was awarded the Swiss Government Scholarship based on his excellent academic performance. Prior to this, Abbass got his bachelor degree in electrical and computer engineering from AUB, where he graduated with academic distinction. During his studies at AUB and EPFL, Abbass worked on different academic technical projects including an application development for cycling performance evaluation sponsored by Sensorize-Italy, accomplished within a team of three engineers. Abbass also joined Schneider Electric as an intern where he has successfully developed an energy management application. 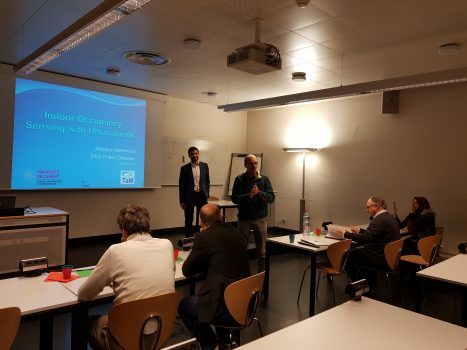 Lately and before joining UNIGE / TaM group, Abbass was part of the Wireless Embedded Systems group at the Swiss Center for Electronics and Microtechnology (CSEM) where he worked on his master thesis, titled ‘Robust Low Power Indoor Localization’, which tackled issues on Indoor Localization. As Abbass made a lot of valuable effort to co-elaborate Many-Me solution, on behalf of entire Consortium we wish him all the best for his next steps!